Sony Corp., under pressure from shareholders to release new products, on Tuesday unveiled a line of high-end audiovisual devices that the chief executive, Nobuyuki Idei, said would differentiate the Japanese company from its Chinese and South Korean rivals. The world's No. 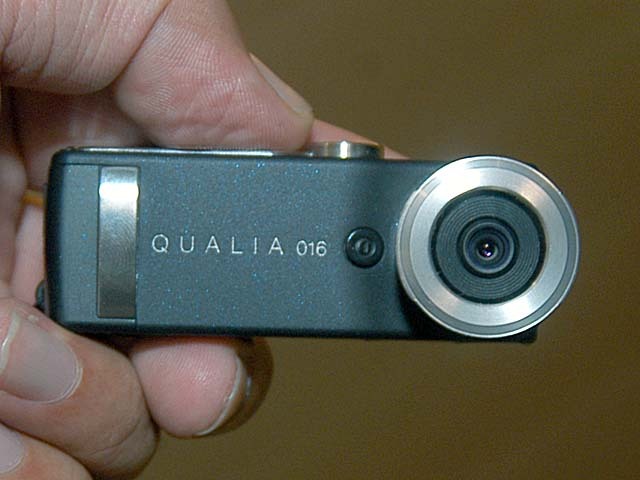 2 consumer-electronics maker announced four new products to be released under the "Qualia" brand - a projector, a color monitor, a digital-still camera and a compact disc audio system. The devices will not be sold in stores; instead, they will be available by special order only. The Qualia products, which Sony said would be priced at the high-end of the market, are the first result of a multiyear effort to stem shrinking profit margins and bolster a share price that has tumbled 50 percent in the past year. Japan's technology industry "is now sandwiched, with the U.S. developing more intellectual property and China and South Korea selling cheaper-priced products," Idei told reporters at a briefing to unveil the new line. "Sony wants to make something different utilizing our new technologies." 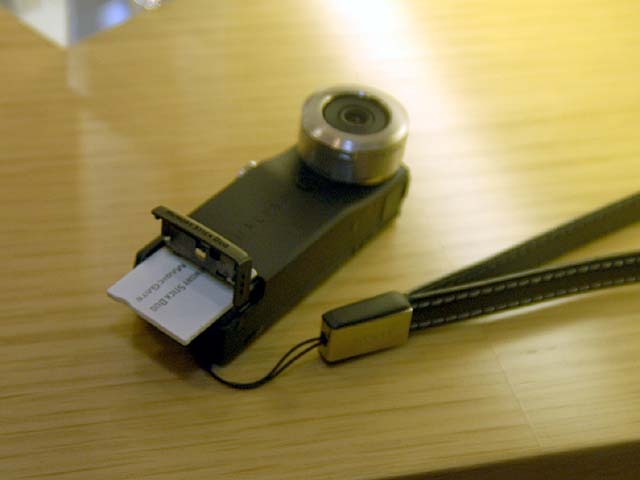 This is one slick little camera. I wouldn't mind having one just to do a little videography every now and then. 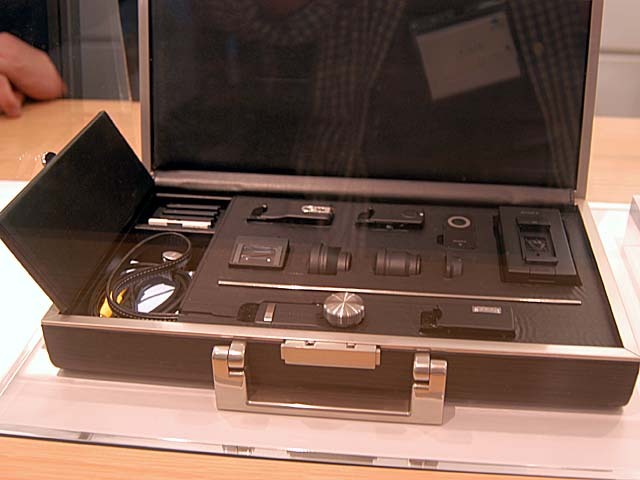 But unfortunately the camera costs about $3,216 US dollars. So you won't be seeing one in my possession any time soon. Last edited by Big Booger; June 12th, 2003 at 09:53 AM. 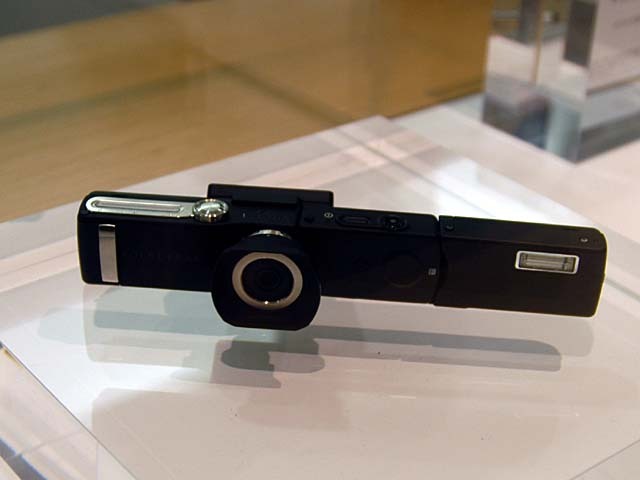 That is one neat little camera. I wonder if the price will ever come down. very NICE and SMALL camera, I did some work in USA working on small CMOS image sensors. We were developing the Credit card sized cameras. The technology to get them that small is AMAZING. Some more on the camera. 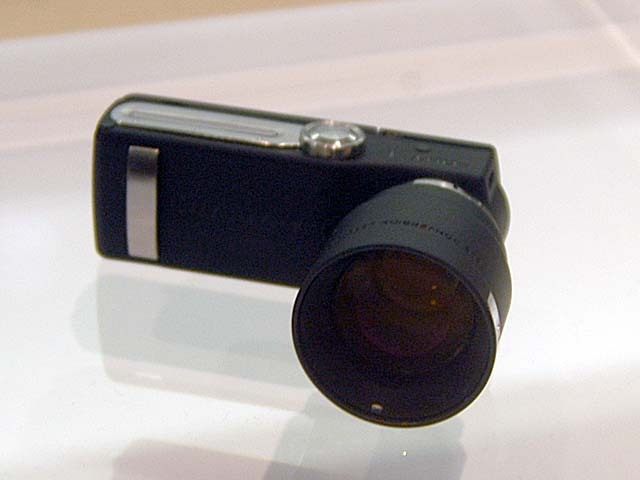 The compact digital camera "Q016-WE1" is small, measuring 41.8mm x 24.0mm x 7.0mm. It is equipped with a new image stabilizing technology that reduces the unsteadiness of pictures that often happens when using a small-sized camera. To keep the images stable, the camera is likely to take four still images serially at a very fast speed and combines them into one still picture. In this process, the camera prevents blurred pictures by picking up characteristic points of the image. 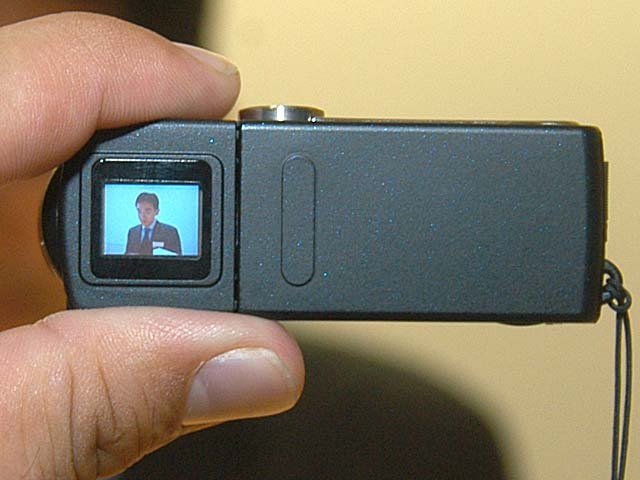 It features a 1/2.7-inch CCD solid-state image pickup device, 2.1 million pixels and a progressive scan mode. Thor were they home photos ? :P You bought one! hey BB what is 380,000 yen in US dollars? ?